Give us a call for more info on availabilty! Weekend Private Parties have an initial minimum cost for up to ten (10) players and then its a per person rate after all ten (10) spots are filled and Weekday Private Parties are similar with slight variations in the initial cost and per person rate. All parties require a $150* non-refundable deposit which goes towards the total blalance of the party. 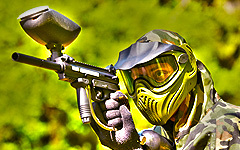 Private parties include a private Ref, private field, rental equipment and paintballs. Keep in mind that your entire party will need to arrive 1 HOUR - 45 MINUTES early of your start time. CLOSED TOED SHOES AND LONG PANTS ARE REQUIRED TO PLAY. All of the party prices are for Saturday and Sunday 10am - 3pm. For weekday parties, you must call for availability at 410-439-0039 or check below. If you book a weekday party online the party is not garunteed until you recieve a e-mail booking confirmation and a follow up call to verify someone will be available to Ref your party. Birthday, bachelor or bachelorette, and even corporate team-building… book your paintball party using the form below! Online party requests must be made at least two (2) business days in advance. *** Monday - Friday Private Parties Only ( NO WALK-ONS ) - Call 410-439-0039 for availability before you book online! Monday: 3 p.m.- 8 p.m.
W-F: 3 p.m. - 8 p.m.
Saturday-Sunday: 10 a.m.-4 p.m. Walk-ons! Private Parties must book in advance. Check out our many varieties of products such as Empire, BT, Valke, Virtue, Ninja, Tech and many more! 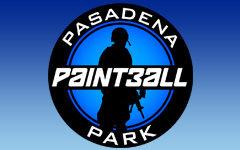 Our 9 Outsanding Fields with themed layouts are a fun way to challenge friends & family at our Premier Paintball Park. Priavet Parties Available for 10 or more players. 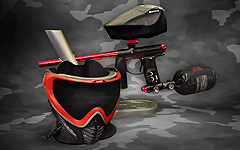 Al parties incldue private fields, rentals, paintballs and shirts!